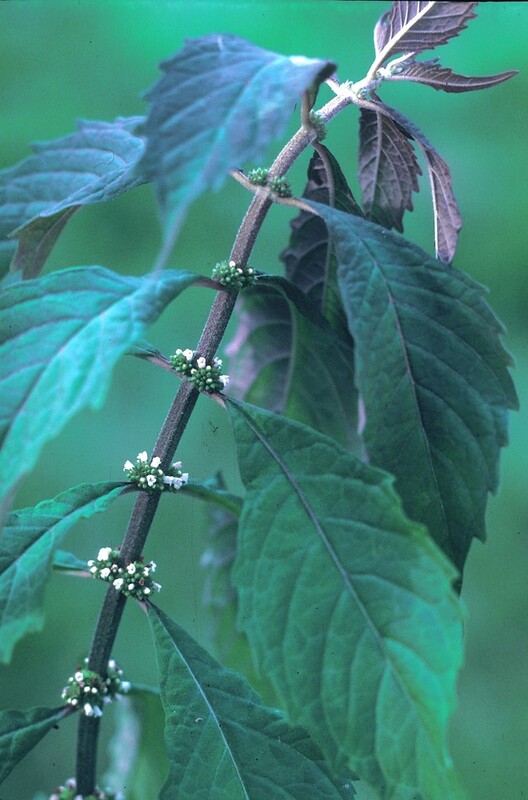 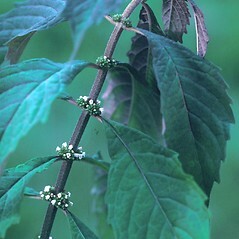 The Cherokee chewed the roots of Virginia water-horehound and fed them to infants to give them "eloquence of speech". 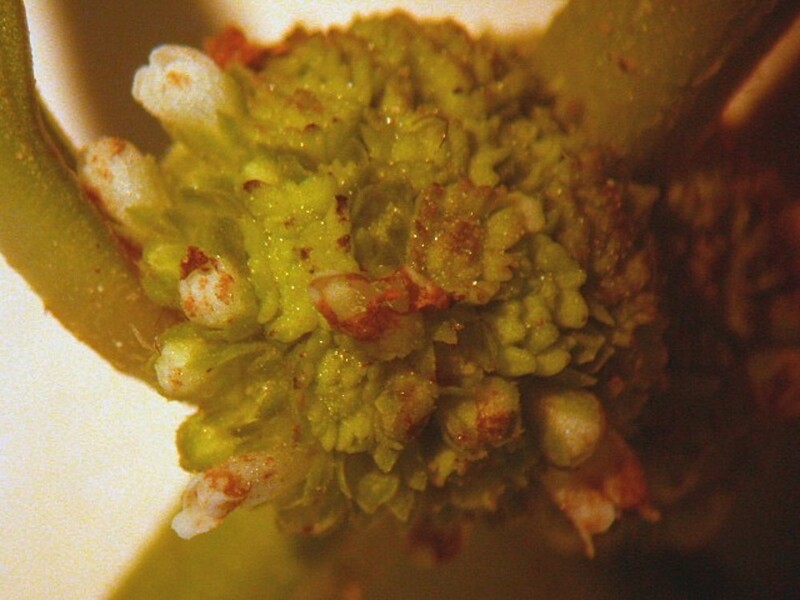 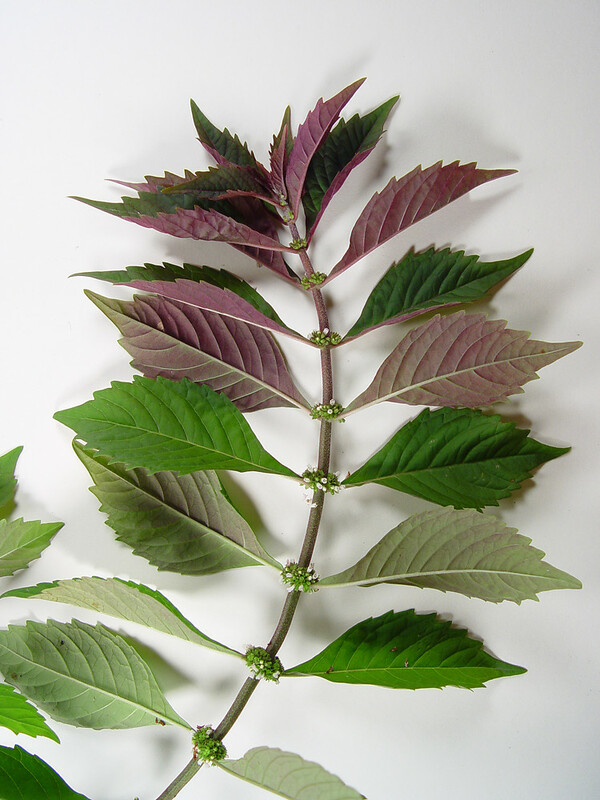 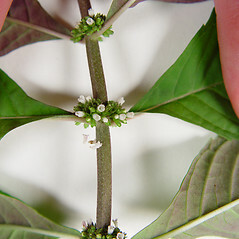 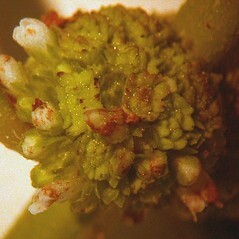 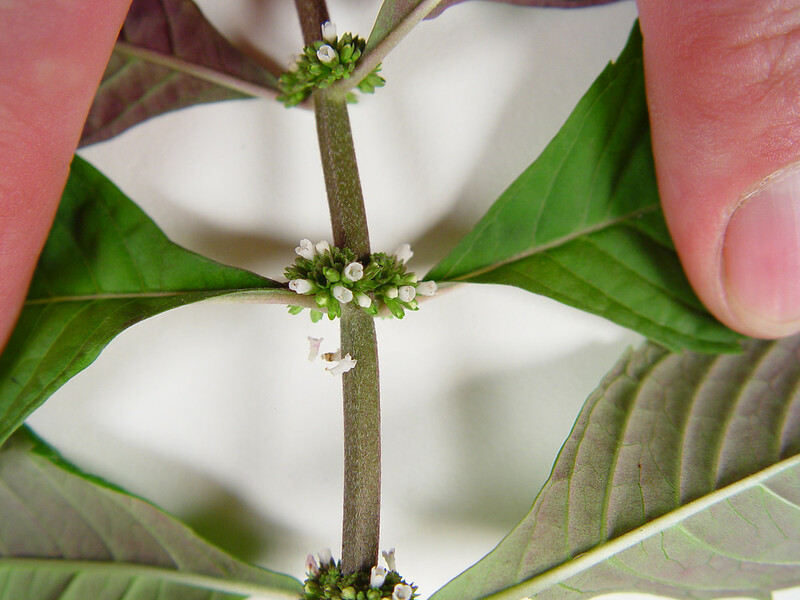 sepals narrow-triangular, longer than 1 mm, longer than the mature fruits, and leaf blades prominently toothed to lobed (vs. L. virginicus, with sepals triangular, shorter than 1 mm, as long as or shorter than the mature fruits, and leaf blades toothed). 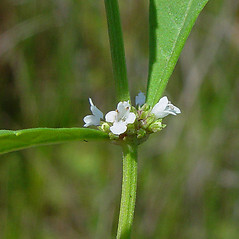 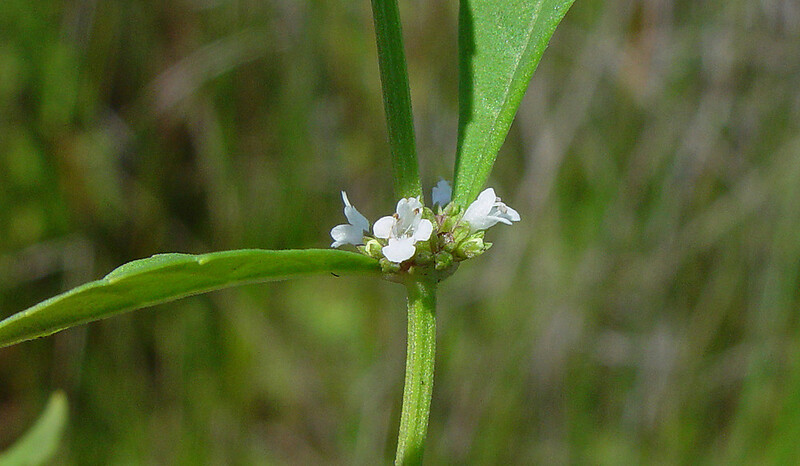 plants with tubers, and corolla 5-lobed or 4-lobed and with the upper petal with a conspicuous notch (vs. L. virginicus, which are plants without tubers and corolla 4-lobed). 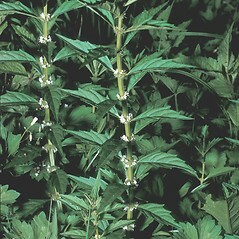 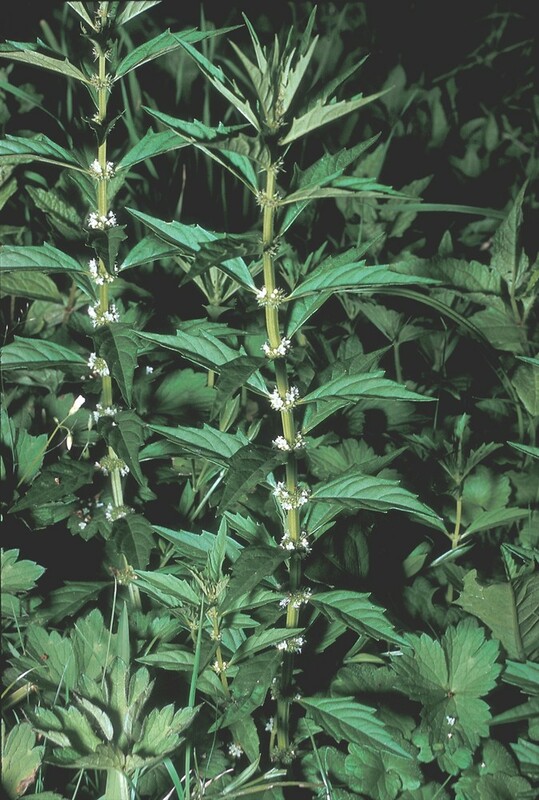 Virginia water-horehound. 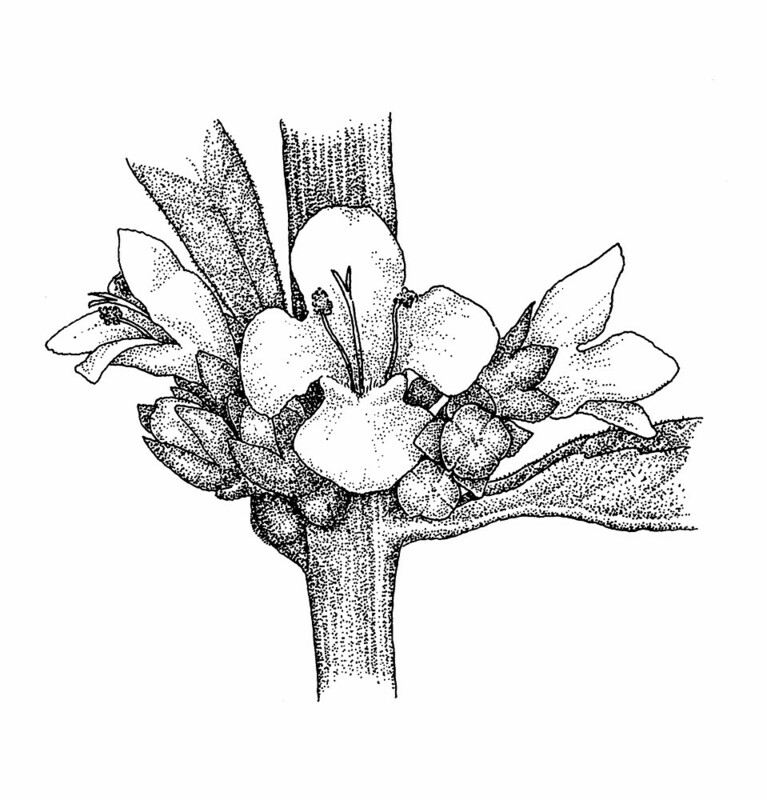 Lycopus membranaceus Bickn. 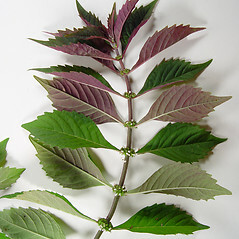 • CT, MA, ME, NH, RI, VT. Swamps, shorelines, wetland margins.